Tom Hanks as himself is pretty awesome but when you give him a handlebar mustache and put him in charge of his own train, Tom Hanks becomes awesome on an epic level. If you've always wanted to look like an animated Tom Hanks, you are in luck my friend! Now you can be the conductor of everyone's favorite Christmas train when you wear this Adult Polar Express Conductor Costume. You can even pass out presents and hot chocolate to everyone and they might think you are even cooler than the real Tom Hanks! Gather your elf kin in the center of town and wait patiently for the man in red to come through...Santa Clause himself! If years and years have passed and you can still hear the bell, then you truly believe. That's something to be proud of because it's hard to keep the Christmas spirit alive these days. 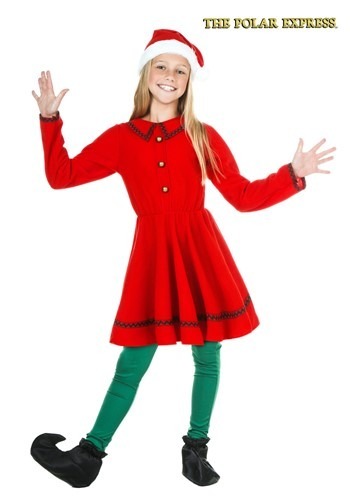 Trim the tree and deck the halls in this Adult Polar Express Elf Costume. You'll be celebrating the holidays in true elf fashion. Do you still believe in Christmas? Can you hear the bell ringing? If you're here looking at our Polar Express Costume, we think you still believe in the spirit of the holidays. But of course you do! 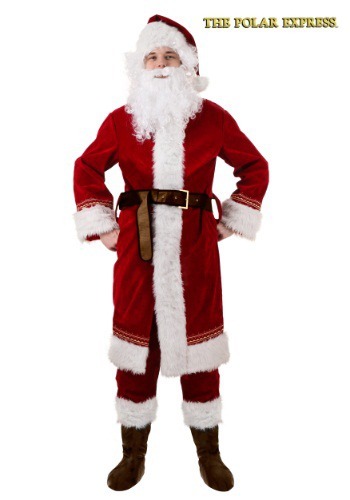 You can actually BE Santa in this exclusive costume and help all the children of the world believe in him once again. While we doubt you'll have access to a blimp to carry your gift bag, we think you can still convince even the youngest skeptic with a smile and wink while wearing this Polar Express Santa costume. Show them, "There is no greater gift than friendship." Give the first gift of Christmas to everyone you meet this season when you go in our Plus Size Polar Express Santa Costume! You'll look just like Jolly Old Saint Nick from the classic film in this exclusive costume. Why, you can wear it on Christmas Eve or Day, wear it in a stage play, or just don the red apparel to make your kids truly believe in the magic of Santa when you ring a bell they can certainly hear. Just remember, the true meaning of Christmas lies in your heart. 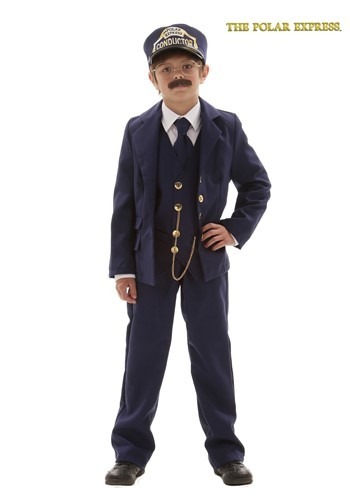 If your child loves to watch The Polar Express no matter what time of the year it is, then he'll love wearing this Toddler Polar Express Conductor Costume. In fact, you might just be guiding him into his future career of conducting trains to and from the North Pole for kids who need a renewed belief in the magic of Christmas. It's a tough line of work, but someone has to do it. 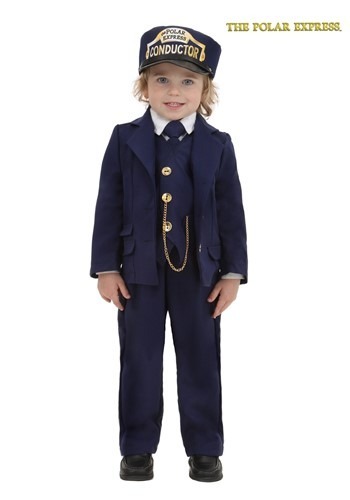 It could very well be your little one to pull the choo-choo whistle when they wear our exclusive and licensed toddler Polar Express Conductor costume!